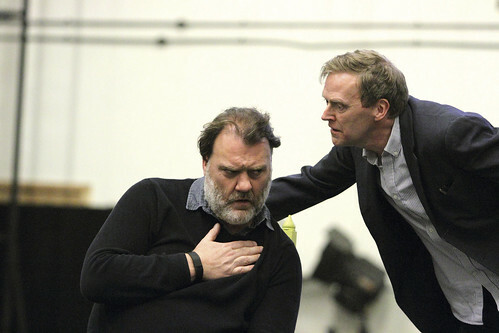 Bryn Terfel stars in the live cinema relay of Richard Jones' new Royal Opera production. 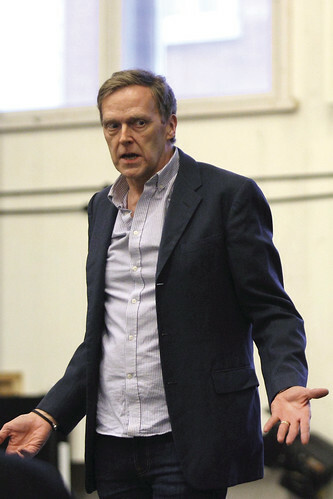 Richard Jones’ new Royal Opera production of Boris Godunov will be broadcast live to cinemas around the world at 7.15pm GMT on 21 March 2016. 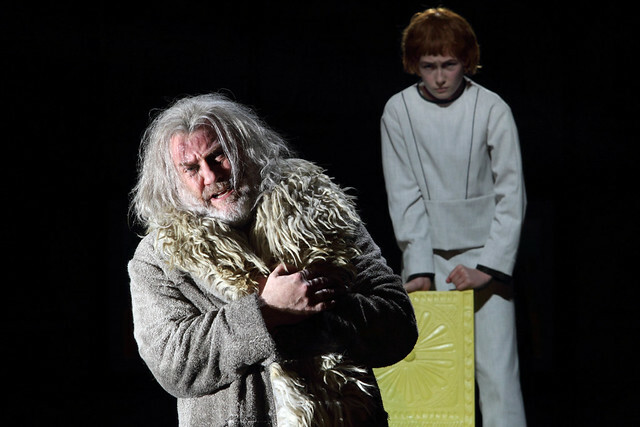 Download the Boris Godunov Digital Programme for free using the promo code FREEBORIS and enjoy a range of specially selected films, articles, pictures and features to bring you closer to the production. The cinema relay will be presented by TV and radio broadcaster Katie Derham. In Musorgsky's version of the tale, Boris comes to power by supposedly murdering the true heir, the nine-year-old Tsarevich Dmitry. He rules Russia well, but his people suspect that the series of famines that have swept through the Kingdom are divine punishment. This conspiracy leads to an uprising against Boris and a young monk Grigory decides to pose as the risen Dmitry in a bid to seize the throne. 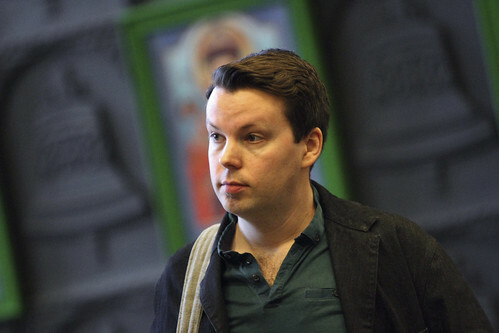 Acclaimed director Richard Jones brings a new production of Musorgsky's 1869 version to the Royal Opera, a co-production with Deutsche Oper Berlin. Jones collaborates again with German set designer Miriam Buether, who made her Royal Opera debut creating designs for Jones’ production of Anna Nicole in 2011. Please note: We advise that this production is not suitable for children under the age of 12. Russian composer Modest Musorgsky developed a new way of composing for the Russian language that achieved great lyric beauty. Beset by personal tragedy, Boris Godunov was the only opera the composer completed and is regarded as his masterpiece. The music is a work of conflict, emphasizing the tensions between a ruler and his people, and a ruler's public action and internal thought. The Coronation Scene is one of the opera's most powerful and famous musical moments. 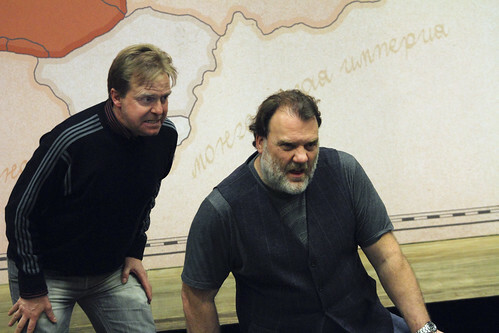 In it, Musorgsky establishes the conflicts that drive the opera. 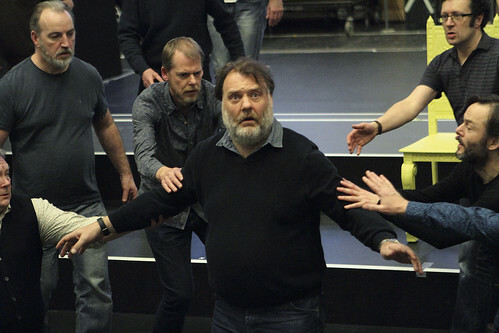 The cinema relay sees Bryn Terfel sing the role of Boris Godunov. 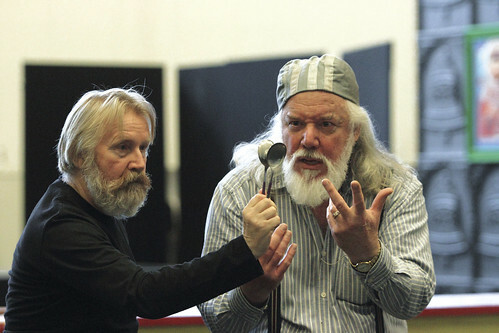 Other major roles include John Graham-Hall as Prince Shuisky, Kostas Smoriginas as Andrey Shchelkalov and John Tomlinson as Varlaam. 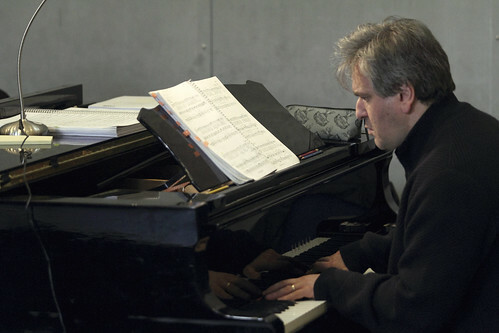 Music Director of the Royal Opera, Antonio Pappano conducts. After the relay on 21 March, we will publish a roundup of the audience tweets, so share your thoughts using the hashtag #ROHboris. The production will be relayed live to cinemas around the world on 21 March 2016. Find your nearest cinema and sign up to our mailing list. The production is a co-production with Deutsche Oper Berlin and is given with generous philanthropic support from Mrs Aline Foriel-Destezet, The Tsukanov Family Foundation, Simon and Virginia Robertson, The Mikheev Charitable Trust, the Boris Godunov Production Syndicate and an anonymous donor. I'm very sorry for your frustrations last night. I'm unaware of this synchronisation issue being more widespread and suspect that it was caused by a local issue at Vue Cramlington. I'm going to check in with Vue today and find out what went wrong and please rest assured that we'll do everything in our power to get this rectified for future screenings. Saw BORIS last night -all about the chorus for me (fantastic) and the triumphant coronation music . Deeply Russian austerity imagery - wanted rich robes and more pomp in production .Bryn is a towering tortured reflective Boris , really loved his son (a star is borne ) ! 'Boris' in Falkirk last night was... well, all the words I can think of sound shallow but that was amazing!! Mussorgsky's music was stunningly gorgeous and moving in the original version (which is the one I know and love best by far). There were marvellous voices and brilliant acting in every one of the roles. The stylised effects were striking and thought-provoking, like the repeated spinning-top murder scene which I didn't find overdone. 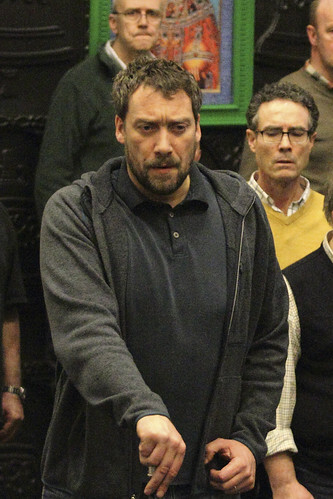 And there was so much more, but above all: Bryn's Boris. Love, love, love!!! He was magnificent and heart-rending. When Boris died, still kneeling, suddenly it truly looked as if his soul had gone and there was only an empty shell there. Congratulations on a fantastic achievement and love and thanks to all.